its 9.08 p.m on Sunday night. Earlier today, i played Futsal with my officemate@ One Utama. Which cost me RM17..woow, that too much for a small earner like me. AND, my soccer boots has lost it entire studs. Then, we are playing again this Tuesday at real field, not artificial turf. Where am i gonna get a boots too play?? before i went back home, i went to Studio R to check any boots. But then, i saw something bigger than a soccer boot. One of my biggest dreams. A PUMA DUCATI of my dream on 40% discount. I asked the promoter until when this offer last, He answered that today is the last day. and my dream ruins and washed away. Its hard to accept the fact that i can't get a pair of it. Perhaps, next time will do. On this same Sunday also,i just came out words that i just figure it out..
feat. Mariah Carey & Kenny G.
Last night, I watch the film ’August Rush’. A night before that, I watched ‘Bodyguard and Assassin’ (BAA). BAA was an impressive movie that exposed viewers with deep patriotic feeling. However, it is hard to determine which one are the protagonist and antagonist characters. But I like the message it wanted to convey to viewers. It is more like the beginning of the Cultural Revolution of the great China, in my understanding. Then, the August Rush film. I categorize this film as a beautifully sweet film. Thank to Angeline, who gave me this wonderful movie. Lucky you. The way the film tells its magical story and the essence of fine music which I was impressed with proud face. The best scene was how a moment together can be a lifetime. The family values also struck me with the bond of parent and their children. There are so much things going on around me. As days passing by, I stuck in a place where I should choose between dream and current passion. It is a though decision to make. Dream is what I wanted to do for a log time. Current passion is where I put my full effort in it. But dream what make a person great. Just like Martin Luther King Jr. great person. If I have all the chance in the world, I want to catch my dream. Have been dreaming with my friend all the way up to the highest peak. but i just worried with whom i will go to. "Why can't the opposite be true??" Nah, it just came to my conscious mind who will be my partner that night. during this date, maybe the national astronaut will get married with his girl. But here is far more important that the big national hero wedding for me.no offense ya. the most anticipated by myself-motoGP at my home soil. i was really terrified that i can't go since i wanted to get the expensive ticket as it is an annual event i anticipated the most. then Carmen at office gave me an offer i can't refuse.no godfather and guns, but with pure enthusiasm, i accept the offer which is 2 MAIN GRANDSTAND Shell Advanced Malaysian Motorcycle Grand Prix 2010 tickets worth RM200. i was posses and i can't sit still. I have been waiting for almost 2 years for such an inspiring event.2 years of waiting and dreaming fantasizing the race at Sepang International Circuit. AND it is a main grand stand tickets. instantly, i called akmal and offer him the tickets which i get. then i get another 2 tickets from Jasmin, my next office-mate sat next to me. For sure, one of the extra tickets are for EKA, so i thought if asking my friend which love TEETO to go, but sadly she have to go to her relatives house. then i offer a ticket to faridzul.my good friend since high school. He has the same big two wheel enthusiasm. 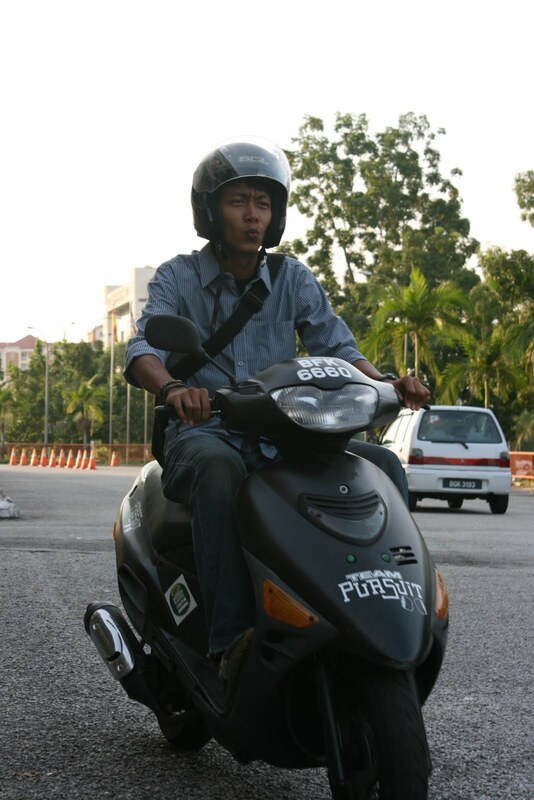 and he is the one who always help me when i broke my leg 7 years ago. 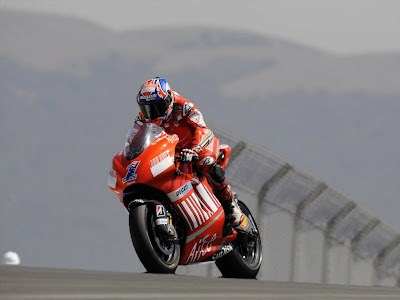 So i really hope to see Casey Stoner and Nickey Hayden step on the podium as Marlboro Ducati Team . Their win will make my first motoGP race a sweet memory.